I recently came across a question asking “can I give turmeric to my dog?” and thought it was a great topic to discuss. Turmeric for dogs is something that may not be on your radar, but it can bring an absolute metric ton of health benefits to your dog. Humans have long used turmeric for its health benefits, and like many human herbs, turmeric for dogs can add some exceptional health qualities to a dog’s diet. Today, I’ll be discussing the health benefits of turmeric, as well as possible side effects, because it’s important to get the full picture. NOTE: As always, speak to your vet about any herb, medication, or supplement you plan on giving to your dog, its possible side effects, and how it might interact with any medications your dog may be taking. Can I Give Turmeric To My Dog? Short answer, yes, you can give turmeric to your dog. Of course, as mentioned above, it’s important to use it correctly and under the guidance of your vet. Turmeric is a member of the ginger family and has been used for thousands of years in both Chinese and Ayurvedic medicine practices. It has seen a resurgence in popularity in recent years for its almost total body health benefits, most notably its anti-inflammatory and antibacterial properties, as well as its benefit to heart health and total body detoxification. Most of those same advantages apply to dogs, as well. Liver health is essential for overall health. The liver is basically the body’s custodial department. It’s responsible for removing toxins as well as aiding in digestion. It’s also involved in nearly every biochemical process in the body. Therefore, a healthy liver means a healthier dog. Turmeric has been shown to aid in the liver’s ability to metabolize fat and remove waste from the body, keeping both the liver and body as a whole healthier. Turmeric for dogs can help fight against cancer. Don’t get ahead of me. It’s not a magic anti-cancer bullet, Rather, it’s a powerful antioxidant, and as I’ve stated in many previous articles, antioxidants help the body fight against cancer causing cells. Since nearly every dog becomes more and more prone to developing cancer as they age, this is a major health benefit. As a natural anti-inflammatory, turmeric for dogs can help slow age-related joint damage, and help already damaged joints feel better. Its natural anti-inflammatory properties prevent the damage that can come with joint inflammation as well as the pain that comes with inflammation due to arthritis. Turmeric for dogs can also help overall GI tract health. It’s high in fiber which helps keep the GI tract working properly. It’s also excellent for preventing mild stomach and digestive issues and reducing gas and bloating. I cite these as possible side effects because these are the side effects that can occur in humans. 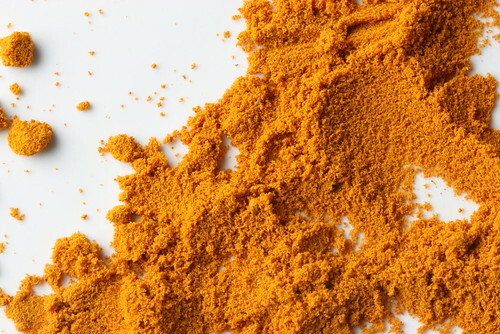 These side effects are most often the result of inadequate water intake, however the fact that they exist should give anyone pause when considering turmeric for dogs. At first glance, Turmeric for dogs sounds like an amazing idea, and it could be. 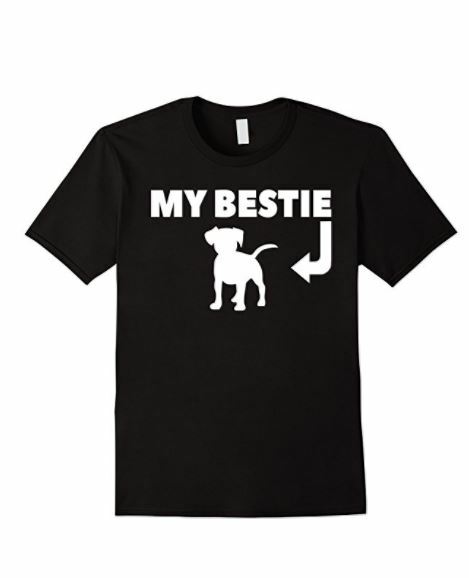 But – and it’s a big, important but – ONLY with your vet’s supervision and sign off on it. It is never a good idea to give any sort of supplement to your dog without your vet’s knowledge and go ahead. They know what will and won’t interact with medications, and they generally have the expertise you need when considering supplementation. 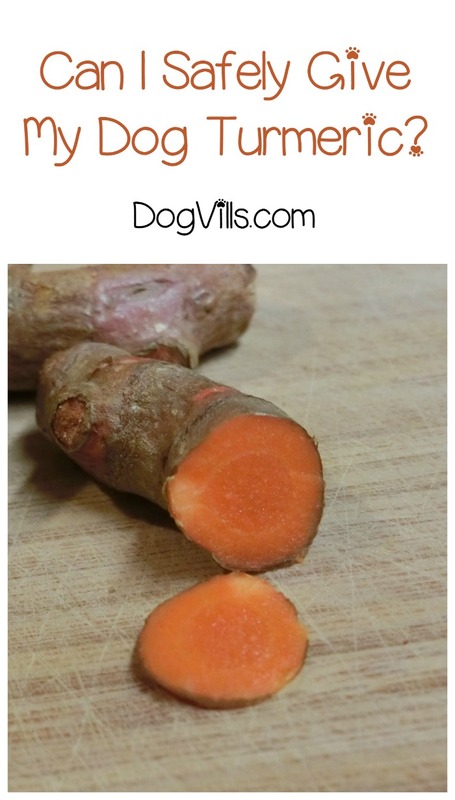 Have you ever tried giving your dog turmeric? What were your experiences? Share in the comments.